The main question I'm asking myself, the question that puts everything together, is how to do cosmology; how to make a theory of the universe as a whole system. This is said to be the golden age of cosmology and it is from an observational point of view, but from a theoretical point of view it's almost a disaster. It's crazy the kind of ideas that we find ourselves thinking about. And I find myself wanting to go back to basics—to basic ideas and basic principles—and understand how we describe the world in a physical theory. What's the role of mathematics? Why does mathematics come into physics? What's the nature of time? These two things are very related since mathematical description is supposed to be outside of time. And I've come to a long evolution since the late 80's to a position, which is quite different from the ones that I had originally, and quite surprising even to me. But let me get to it bit by bit. Let me build up the questions and the problems that arise. One way to start is what I call "physics in a box" or, theories of small isolated systems. The way we've learned to do this is to make an accounting or an itinerary—a listing of the possible states of a system. How can a possible system be? What are the possible configurations? What were the possible states? If it's a glass of Coca Cola, what are the possible positions and states of all the atoms in the glass? Once we know that, we ask, how do the states change? And the metaphor here—which comes from atomism that comes from Democritus and Lucretius—is that physics is nothing but atoms moving in a void and the atoms never change. The atoms have properties like mass and charge that never change in time. The void—which is space in the old days never changed in time—was fixed and they moved according to laws, which were originally given by or tried to be given by Descartes and Galileo, given by Newton much more successfully. And up until the modern era, where we describe them in quantum mechanics, the laws also never changed. The laws lets us predict where the positions of the atoms will be at a later time, if we know the positions of all the atoms at a given moment. That's how we do physics and I call that the Newtonian Paradigm because it was invented by Newton. And behind the Newtonian Paradigm is the idea that the laws of nature are timeless; they act on the system, so to speak, from outside the system and they evolve from the past to the present to the future. If you know the state any time, you can predict the state at any other time. So this is the framework for doing physics and it's been very successful. And I'm not challenging its success within the proper domain—small parts of the universe. The problem that I've identified—that I think is at the root of a lot of the spinning of our wheels and confusion of contemporary physics and cosmology—is that you can't just take this method of doing science and scale it up to the universe as a whole. When you do, you run into questions that you can't answer. You end up with fallacies; you end up saying silly things. One reason is that, on a cosmological scale, the questions that we want to understand are not just what are the laws, but why are these the laws rather than other laws? Where do the laws come from? What makes the laws what they are? And if the laws are input to the method, the method will never explain the laws because they're input. Also, given the state of the universe of the system at one time, we use the laws to predict the state at a later time. But what was the cause of the state that we started with that initial time? Well, it was something in the past so we have to evolve from further into the past. And what was the reason for that past state? Well, that was something further and further in the past. So we end up at the Big Bang. It ends up that any explanation for why are we sitting in this room—why is the earth in orbit around the sun where it is now—any question of detail that we want to ask about the universe ends up being pushed back using the laws to the initial conditions of the Big Bang. And then we end up with wondering, why were those initial conditions chosen? Why that particular set of initial conditions? Now we're using a different language. We're not talking about particles and Newton's laws, we're talking about quantum field theory. But the question is the same; what chose the initial conditions? And since the initial conditions are input to this method that Newton developed, it can't be explained within that method. So if we want to ask cosmological questions, if we want to really explain everything, we need to apply a different method. We need to have a different starting point. And the search for that different method has been the central point in my thinking since the early 90's. Now some of this is not new. The American philosopher, Charles Sanders Peirce, identified this issue that I've just mentioned in the late 19th century. However, his thinking has not influenced most physicists. Indeed, I was thinking about laws evolving before I read Charles Sanders Peirce. But something that he said encapsulates what I think is a very important conclusion that I came to through a painful route. And other people have more recently come to it, which is that the only way to explain how the laws of nature might have been selected is if there's a dynamical process by which laws can change and evolve in time. And so I've been searching to try to identify and make hypotheses about that process where the laws must have changed and evolved in time because the situation we're in is: Either we become kind of mystics, well, just those are the laws full stop, or we have to explain the laws. And if we want to explain the laws, there needs to be some history, some process of evolution, some dynamics by which laws change. This is for some people a very surprising idea and it still is a surprising idea in spite of the fact that I've been thinking about it since the late 80's, but if you look back, there are precedents: Dirac, you can find in his writings, a place where Dirac says the laws must have been different earlier in the universe than now; they must have changed. Even Feynman has … I found a video online where Feynman has a great way…and I wish I could do a Feynman Brooklyn accent, it sort of goes: "Here are the laws we say; here are the laws, but how do they get to be that way in time? Maybe physics really has a historical component. " Because you see, he's saying physics is different from the other subjects. There is no historical component to physics as there is to biology, genealogy, astrophysics, and so forth. But Feynman ends up saying, "Maybe there is a historical component." And then in the conversation his interviewer says, "But how do you do it?" And Feynman goes, "Oh, no, it's much too hard, I can't think about that." So having said that, it's very audacious to say I've been trying to think about that since the late 80's. It's worth mentioning what got me started thinking about evolving laws and that was a comment that my friend Andy Strominger said about string theory. Andy is one of the important string theorists in the United States. Andy had just written a paper, I think in about '88, in which he had uncovered evidence for the existence of a vast number of string theories. So originally, there were five and maybe that was not so bad, they could be unified. And then there were hundreds of ways and then there were hundreds of thousands of ways to curl up the extra dimensions. And then Andy identified another way to make a string theory that would make vast numbers. And he said to me it's not even going to be worthwhile trying to connect this theory to experiment because whatever comes out of an experiment, there is going to be a version that would match that. And it took a lot of people a long time until the early 2000s to catch up to that. But I was really struck by that conversation and then went away and wondered about this. How could you have a theory that accounts for the selection of laws from a vast catalogue of possible laws? And not only that, there are some mysteries about why the laws are what they are because they seem to be very special in certain ways. One way they're very special is that they seem to be chosen in such a way that it leads to a universe with an enormous amount of structure. With structure on every scale, from molecules and biological molecules, to biological systems themselves, to all the rich variety of structures on the earth and the other planets, to the rich structures of galaxies, to clusters of galaxies on this vast array of scales. The universe is not boring on any scale you look at it. It's very structured. Why? And there turned out to be two connected reasons. One of them is that the laws are very special. One way they're very special is that they have parameters in them, that take values which we don't know the reasons for. These are things like the masses of the different elementary particles, the electrons, the neutrinos, the quarks, the strengths of the fundamental forces. I am talking about thirty numbers that we just put into theory from experiment. And then we have a model—the standard model—that works very well. But we don't understand why those numbers are what they are. So I started to imagine a scenario where the numbers could change in some violent events. Maybe the Big Bang was not the first moment in time, maybe it was a violent event where our universe grew out of some previous universe and maybe those numbers altered the way that when a new individual is born the genes are different than the parents. And I started to play with that idea and began to see how you could use the principles of natural selection to make predictions about our present universe. These predictions test the scenario that the laws has evolved in a particular way. A thing that I understood from that, because there was already speculation about multi-universes and our universe being one of a vast number of other universes and there was already the use of the anthropic principle to pick out our world. But I realized you can't do science assuming that our universe is one of a vast array of other universes because we can't observe any properties of them. And I've been making this argument forever and it doesn't seem to penetrate to some people that science is not a fantasy story. It's not a Harry Potter story about magical things that might be true. Science is about what you can verify—hypotheses that you can test and verify. If you're making hypotheses about many universes that exist simultaneous to us with no connection to our own, you can't verify those hypotheses. But if you're making hypotheses about how our universe evolved from past universes, you're making hypotheses about things that happened in our past and there can be consequences that you can verify. So through this I came to the idea that laws must have evolved in time. And that was the idea of cosmology and natural selection. Now meanwhile, most of my work has been about making the quantum theory of gravity. And in quantum gravity, we apply quantum mechanics to the equations of Einstein's Theory of General Relativity and we come up with a theory that has no time fundamentally. This is a point that Steve Hawking made, that Julian Barber has made in many different ways. The variable time—the dependence of processes on time—just disappears from the fundamental equations of quantum cosmology, of quantum gravity applied to cosmology. And time is set to emerge when the universe gets big in the same way the temperature emerges as an approximate description of the energy contained in a lot of molecules moving around randomly—where pressure emerges as a summation of all the forces coming from all the collisions of an atom on a wall. But time is nowhere in the fundamental equations of quantum cosmology. And I was working on the equation of quantum cosmology for many years, first with Ted Jacobson and then with Carlo Rovelli. We solved a form of those equations and that was the main root of my work in quantum gravity. So for many years I had these two parallel things going on; one in which laws were evolving in time, and the other which time was emerging from laws, which therefore implied that the laws were timeless. And because the first thing was a kind of side project—it was a kind of thing that I had thought about from time to time on the side of my main work—it took me a long time to realize that there was a contradiction between those two stories. I'm a little bit ashamed about it, but it's better to lay it on the table. And several things happened which made that contradiction very evident and made me deal with it. One of them was in the quantum theory of gravity itself. There turned out to be technical issues realizing the picture of time emerging from a timeless quantum cosmology. This isn't the place to talk about technical issues, but something I'm convinced about is when a technical issue hangs around for many years and many people work on it and nobody solves it, it may be that you should reexamine the ideas behind it. Maybe it's not a technical issue. Maybe it's a fundamental conceptual or philosophical issue. And indeed this is something that Feynman said to me when I was a graduate student. He said there are things, again, I'm not sure why I'm invoking Feynman so much but why not. He said, "There are things that everybody believes that nobody can demonstrate. And you can make a useless career in science … " he probably put it in an even more hard way, "you can waste your time and waste your career by trying to work on things that everybody believes but nobody can show because you're probably not going to be able to show them either if a lot of smart people couldn't show them. Or you can investigate the alternative hypothesis, which is that everybody's wrong." And this always comes back to me this—with Feynman's voice. He, at the time, was thinking the confinement in QCD was wrong and he was probably wrong about that but nonetheless he made actually a brave effort to prove confinement. So I began to wonder whether we might be wrong about time emerging from law in quantum cosmology. I began to think maybe we should make quantum cosmology in some way in which time is fundamental and space may merge from something more fundamental. So that's one thing that happened. The second thing that happened is that the picture of laws evolving, of a collection of universes evolving on a landscape of laws, went in about 2003 from being very much kind of a one person little obsession that I engaged in on the side to a big deal when a bunch of people in string theory came to the same conclusion. This was a result of work at Stanford and they found that the impetus for this making string theory accommodate itself to the positive dark energy or positive cosmological constant (or vacuum energy). And this collaboration of people at Stanford discovered that they could make string theories that had positive vacuum energy, but only at the cost of there being vast numbers of string theories. So really they got back to where Andy Strominger was in 1988. And all of a sudden—and Lenny Susskind here played a big role—all of a sudden there was a lot of talk about the landscape of theories and the dynamics and change on the landscape of theories which was the words that I had used. So I was sort of jolted into, "My God, if everybody is taking this seriously, I should think carefully about this." The third thing that happened was I started interacting with a philosopher, Roberto Mangabeira Unger who had on his own been thinking about evolving laws for his own reasons. And he basically took me to task—this is about six or seven years ago—and said, "Look, you've been writing and thinking about laws evolving in time but you haven't thought deeply about what that means for our understanding of time. If laws can evolve in time then time must be fundamental." And I said "Yes," but he said, "You haven't thought deeply, you haven't thought seriously about that." And we began talking and working together as a result of that conversation. And so those three things together about five or six years ago made me go back and put together the idea that laws have to change in time if they're to be explained—with my thinking about the nature of space and time quantum mechanically, and so I started playing with the idea that maybe time has to be really fundamental in the context of quantum gravity. That thinking changed my work, and much of my work for the last year has been devoted to thinking about various ways that various hypotheses about how laws can change in time, thinking about the consequences for understanding the nature of time, and thinking about how to make theories and hypotheses that can be checked. The reason is that this stuff can get pretty speculative. I'm sure it does sound speculative-so to tie it down I focus on hypotheses that are testable. Let me first mention that cosmological natural selection did make some predictions and those predictions have so far stood up. Let me talk about some newer ideas. Let me give some more examples because cosmological natural selection was a long time ago. Here's one that I call the principle of precedence. And I think it's kind of cute. And let me phrase it in the language of quantum mechanics, which is where it comes from. It comes from actually thinking about the foundations of quantum mechanics, which is another thing that I try to think about from time to time. We take a quantum system, and quantum systems are always thought about from my point of view as small bits of the universe that we manipulate and prepare in states and experiment with and measure. We're always doing something to a quantum system. I don't believe anymore there is anything that goes under the name of quantum cosmology. Let's say we have a quantum system—let's say some ions in an ion trap, which we want to measure their quantum mechanical properties. So we prepare them in some initial state. We evolve them by transforming them, by interacting with them from the outside, for example, by applying magnetic fields or electric fields or probing them with various probes. And then we apply a measurement. And because it's quantum mechanics, there's no prediction for the definite outcome of the experiment. There are probabilities for different possible outcomes. Let's consider a system that's been studied many times. We have measured before the statistical distribution of outcomes through some collection of past instances where we've measured the system before. And if we do it now and measure the system again we're going to get one of those past outcomes that we saw before. If we do it many times now we're going to get a statistical distribution, which is going to be the same distribution that we saw before. We're confident if we do it next year or in a million years or in a billion years we're going to get the same distribution as we got before. Why are we confident of that? We're confident of that because we have a kind of metaphysical belief that there are laws of nature that are outside time and those laws of nature are causing the outcome of the experiment to be what it is. And laws of nature don't change in time. They're outside of time. They act on the system now, they acted on the system in the same way in the past, they will act the same way in a year or a million or a billion years, and so they'll give the same outcome. So nature will repeat itself and experiments will be repeatable because there are timeless laws of nature. But that's a really weird idea if you think about it because it involves the kind of mystical and metaphysical notion of something that is not physical, something that is not part of the state of the world, something that is not changeable, acting from outside the system to cause things to happen. And, when I think about it, that is kind of a remnant of religion. It is a remnant of the idea that God is outside the system acting on it. So let's try a different kind of hypothesis. What if, when you prepare the system, you transform it, and then you measure it-nature has a way of looking back and asking the question: have similar things been done in the past? And if they have, let's take one of those instances randomly and just repeat it. That is, nature forms habits. Nature looks to see is there a similar thing that happened in the past. And if there was, what if it takes that? If there are many, it picks randomly among them and presents you with that outcome. Okay, well that will give the same statistical distribution as you saw in the past, by definition, because you're sampling from the past. So there doesn't have to be a law outside of time. The only law needs to be what I call the principle of precedence—that when you do an experiment, nature looks back and gives you what it did before. Now you can say that involves some weird metaphysical idea, nature has access to its past and is able to identify when is a similar thing being done, a similar measure being made. And that's true, but it's a different metaphysical idea than the idea of the law acting from the outside and it has different consequences. Let's play with this. This reproduces the predictions of standard quantum mechanics, so it reproduces the success of standard quantum mechanics without having to believe in the timeless law. Can you test it? As I said, I'm only interested in ideas that can be tested. Yes, you can test it because people are working a lot with quantum technologies and they're making systems that have no precedents. For example in Waterloo, there's the Institute for Quantum Computing and there Ray Laflamme and David Cory and their colleagues are making systems that have never been made before. And so I talk to them and I say, "Maybe if you make a really novel system then we'll have no precedence—it won't behave as you expect it to because it won't know what to do, so it will just give you some totally random outcome." And they laugh and I say, "Why is that funny?" And they say, "Well, the first time we do an experiment of course we get a totally random outcome because there are experimental design issues and experimental error issues. We never get what we think we're going to get the first time we set up an experiment in the laboratory and we run it." So I say to them, "Great, that's fine." But eventually the thing settles down and starts giving repeatable results and they say, "Sure." And I say, "Well, could you separate that process of settling down to definite results? Could you separate out the effect of having to make your experiment work from the effect of my hypothesis that nature is developing habits as it goes along?" And they say, "Maybe." So we have a discussion going on about whether that could really be tested. Now it's like any idea, it's probably wrong, but it's testable and that to me proves it is science. The current scene is very confusing. Very smart people have tried to advance theoretical physics in the last decades and we're in an embarrassing situation. The embarrassing situation is that theories that were already around in the middle 70's for particle physics, and the early 80's for cosmology, are being confirmed over and over again and to greater and greater precision by the current experiments. And this goes both for particle physics and cosmology. In particle physics the LHC, the large hadron collider, identified a new particle that is probably the Higgs, it looks like a standard model Higgs, and there's nothing else. There's no evidence for super symmetry, for extra dimensions, for new generations of quarks, for substructure, for a whole variety of ideas, some of which have been very popular and some of which have not been very popular but nonetheless have been on the table. None of these ideas, which go beyond the standard model have been confirmed. In cosmology, the results of the Planck seem to be right in line with the simplest version of inflation. And this is a triumph for the standard model and a triumph for inflation. Paul Steinhardt has a very interesting argument that the results of Planck really shouldn't be taken as confirming inflation. I have enormous respect, I have deep respect for Paul, but the case is not closed. The case is not closed. And certainly, at a naïve level, it looks like a universe that is exactly the one that the inflationary theorist told us about, and they should be proud of that. But the situation leaves a conundrum because we have nothing that confirms anything that goes beyond these models. And I should say there has been, in my field of quantum gravity, a lot of interest in the idea that certain astrophysical experiments would be able to see the breakdown of the structure of space and time that we have from general relativity and give us evidence of quantum space and time in the propagation of light coming from far away gamma ray bursts, in the propagation of cosmic rays. We've been expecting for about a decade to see signals of quantum space-time. And these are not there either so far. So we're also very frustrated. So my impression is that when, let me just come back to how I quoted Feynman, when very smart people have been working under certain assumptions for a long time and these ideas have been around for a lot longer than the ideas that Feynman was concerned with were—and we're not succeeding in uncovering new phenomenon and new explanations, new understanding for phenomenon, it's time to reassess the foundations of our thinking. It doesn't mean that everybody should do that but some people should do that. And I find myself doing that, because of my own intellectual history, partly because of my work in quantum gravity, partly because of cosmological natural selection, partly because I have an inclination because part of my education was in philosophy. Although my PhD is in physics, part of my undergraduate was in philosophy and I've always had an interest in philosophy. And I've always had even more than that, an appreciation, a deep appreciation for the history of thought about these fundamental questions. I find myself doing some of this reassessment. And we'll see where it goes. The conclusions that I come to, I think they're not subtle, they're easy to list, are first that—and I was opening with them before, the method of physics with fixed laws—which are given for all time, acting on fixed spaces of states which are given for all time is self-limiting. The picture of atoms with timeless properties moving around in a void according to timeless laws, this is self-limiting. It's the right thing to do when we're discussing small parts of the universe, but it breaks down when you apply it to the whole universe or when your chain of explanation gets too deep. Let me give one reason it breaks down. We can use the language of reductionism. It's very good advice, it has worked for hundreds of years that if we want to understand the properties of some composite system, some material, we explain it in terms of the properties of its parts or the things its made from. That's good common sense and a lot of the success of science is due to applying that good common sense advice. But what happens when you get to the things that you think of are really the elementary particles? They have properties too. They have masses and charges with various forces that they move about with. But they have no parts, we believe. Or if they do have parts, you're just continuing to do this and then you should be looking for the breakdown into the parts, which is what experiment has not seen so far. Is there any other way to explain the properties of fundamental particles? Well, not by further reductionism. There has to be a new methodology. So that's the first conclusion—that the methodology that works for physics and has worked for hundreds of years—there's nothing wrong with it in the context in which its been applied to successfully—but it breaks down when you push to the limits of explanation, reductionism breaks down. It also breaks down when you push on the other end to larger and larger systems to the universe as a whole. I mentioned several reasons why it breaks down, but there are others. Let me mention one. When we experiment with small parts of the universe, we do experiments over and over again. That's part of the scientific method. You have to reproduce the results of an experiment so you have to do it over and over again. And by doing that, you separate the effect of general laws from the effect of changing the initial conditions. You can start the experiment off different ways and look for phenomena which are still general. These have to do with general laws. And so you can cleanly separate the role of initial condition from the role of the general law. When it comes to the universe as a whole, we can't do that. There's one universe and it runs one time. We can't set it up, we didn't start it and indeed, in working cosmology in inflationary theory, there's a big issue because you can't separately testing hypotheses about the laws from testing hypotheses about the initial conditions, because there was just one initial condition and we're living in its wake. This is another way in which this general method breaks down. So we need a new methodology. A good place to look for that methodology is in the relational tradition, the tradition of Leibniz and Mach and Einstein that space and time and properties of elementary particles are not intrinsic, they have to do with relationships that develop dynamically in time. This is the second point. The third conclusion is that time therefore must be fundamental. Time must go all the way down. It must not be emergent, it must not be an approximate phenomenon, it must not be an illusion. These are the conclusions that I come to and that my work these days is based on. So how do I situate myself? There are two areas that my work impinges on most directly. One of them is quantum gravity and the other is cosmology. Let me discuss each of those in turn. In quantum gravity, there are several programs of research. The one that I am most identified with is loop quantum gravity. Loop quantum gravity is doing very well and let me take a minute for that because we haven't talked about that. Loop quantum gravity is a very conservative research program. It comes from applying quantum mechanics directly to a form of general relativity with no additional hypotheses about extra dimensions or extra particles or extra degrees of freedom. The particular form of general relativity we use is very close to Gauge Theory, it's very close to Yang-Mills theory. This was a form developed by Abhay Ashtekar and before him, although we didn't know about this at the time, by Plebanski. This is now a big research program. We have, every two years, an international conference. This year I'm among the organizers, we're doing it at Perimeter and we already have—it's very early, the conference is not until July—and we already have more that 200 people who are registered to come. So this is not Carlo Rovelli and Abhay Ashtekar and me sitting around in Verona writing in our notebooks the way it was in the late 80's, which, by the way, was a great experience. It's great to be an inventor of something and it's great to have a period like that. Loop quantum gravity gives us a microscopic picture of the structure of quantum geometry with the Planck scale, which is 20 orders of magnitude smaller than an atom. The key problem that loop quantum gravity has had to face is how does the space-time that we see around us emerge from that quantum picture? How do the equations of general relativity emerge to describe the dynamics of that space-time on a big macroscopic scale? And there's been a lot of progress to answering those questions in the last five or ten years. So it's very healthy as a theoretical research program. However, there are two big frustrations with it that I have. One of them is that it still doesn't connect to experiment. I, and others, have been hoping that we would be able to make measurements that would detect the quantum structure of the geometry of space-time. And those experiments are not showing any sign of that quantum structure. Those are astrophysical experiments. And the other thing is that from my present point of view, loop quantum gravity is successful also when applied to small parts of the universe, but I no longer believe in taking equations of quantum gravity and applying them to the universe as a whole because time disappears when you do that and I think that time is fundamental. But loop quantum gravity is healthy and is making the kind of incremental progress that healthy research programs make, which doesn't mean it's right, but it means that it's solving the questions that it has to solve to be real science. There are amazing young people working in the subject, people who are technically brilliant, who are able to do things that just amaze me, and that's a great pleasure. I'm partly in and partly not in that research community because my interests in cosmology and my interest in the nature of time and other interests take me outside of it. But I still have many good friends there; I still go to the conferences. Some of what I do is in that context of loop quantum gravity and I'm very happy to be a part of that community. But I'm not sitting at the center of it anymore, which is fine because the people who are sitting at the center of it are better able to hold that position than I am. String theory, which I've also worked on, is in part healthy as a research program and in part stuck. We no longer hear much from string theorists about what is the fundamental formulation of string theory or M-theory as we used to call it, which is the part that I was most interested I and tried to work on. And we no longer hear— although I think many people still believe them—we no longer hear aggressive claims of string theory being a theory of everything. There are two areas in which string theory is doing very well. One of them is mathematically. It's beautiful mathematics and mathematical physics. And it also provides applications, through what's called the Maldacena Conjecture or the AdS/CFT Conjecture, to give the jargon, to ordinary systems, liquids, fluids, certain solid state systems. The same methods can be used to, in a new way, illuminate some experimental phenomenon. That has nothing to do with string theory as a unified theory but is developing very nicely. Then there are other programs. There is causal dynamical triangulations, quantum gravity, causal sets—these are things worked on by handfuls of people and they are part of the landscape of ideas. In cosmology, inflation and the standard model of cosmology are doing very well observationally. But I think that Neil Turok and Paul Steinhardt have a very important point, which I agree with, which is that if you don't address the singularity, the time before inflation—if inflation is true—when the universe becomes infinitely dense at a finite time in the past and general relativity stops working, you can't address really the question of what chose the initial conditions. And also, to me, what chose the laws. It seems to me a necessary hypothesis that the Big Bang was not the first moment of time but was an event—a transition, something like a phase transition before which there was a universe that had possibly different properties and different laws. So the Big Bang becomes a phase transition, something like a black hole that formed in a previous universe. There would have been a singularity to the future of that formation of that black hole and instead that singularity is wiped out by quantum effects and as we say bounces. And whereas the star was collapsing and was going to just collapse to infinite density, quantum effects make it bounce back and start to be expanding again. And that makes a new region of space and time, which can be a new universe. That's one hypothesis about what the Big Bang was as a transition. Paul and Neil have a different hypothesis that has to do with the whole universe as a whole going through a phase transition. The quantum gravity people have a different hypothesis. According to this hypotheses it's as if the properties of space as we know it are like a frozen piece of ice and when the universe goes through a Big Bang it's like space melts and becomes liquid and rearranges its properties and then freezes again. The Big Bang was something really like a big freeze following a temporary melting. It seems to me that it's a necessary hypothesis to explain the initial conditions because the one thing that inflation doesn't do which it claimed to do was make the initial conditions of the universe probable or explain why the universe is so unusual in its early stages. And whatever the fate of Paul and Neil's cyclic cosmology, their particular hypotheses, I think they're right in their critique of inflation. Whether inflation is right or not I think they're right, that there had to have been a phase transition replacing the Big Bang and therefore the explanations for things in the early universe will be pushed back to before the Big Bang. And that of course intersects with my interest in quantum gravity because quantum mechanics has to become important at those scales where the phase transition happened. And indeed over in the quantum gravity world we have models of quantum cosmology, so-called loop quantum cosmology models, developed by Martin Bojowald, Abhay Ashtekar and many other people by now which show this bounce happening—show that the singularities are always removed and replaced by bounces. Cosmology has been very healthy, because of the success of the standard model of cosmology. But we're left with a very similar question to the question the particle physicists are left with: the question of why this peculiar universe? We've measured the properties of the universe very well. Whether inflation is true or not it's a very improbable universe. Why this universe? Why not other universes, that would be more typical given what we understand about the laws. This is the initial conditions problem. One of my major points is that we can't address those kinds of questions on the basis of the same methodology that worked so far. We need a new methodology for physics—one in which laws evolve. Is there a community of people thinking the same way? Yes and no. There are not very many people within either the cosmology community or the quantum gravity community. So for example, Carlo Rovelli is my dear friend and in some areas like loop quantum gravity we are very much in sync, but Carlo is still a believer in the fundamental timelessness of quantum gravity and quantum cosmology, and I am not. Although we talk about it. In the world of philosophy, what I'm doing is not new and not a surprise. I mentioned Roberto Unger. Our collaboration has been at times like what Picasso once said about his collaboration with Braque: it is like being at times roped together on a mountain. And with Roberto, it's been a wonderful adventure to develop these ideas and to provoke each other. There is also a philosophical context going back to the American pragmatist tradition going back to Charles Sanders Peirce, in that context none of the ideas I'm talking about are new or particularly surprising. So how philosophers will react is unclear but I'm in a context—the context of ideas I'm talking about in which time is real and laws can change are issues that they've been talking about and discussing and debating and have positions about already for a century. I hope to convince people because the chain of thought that I've been through is not serendipity, it's not where I planned to end up, and it's not where I hope to end up. I don't actually like being out on my own. I don't actually enjoy controversy and conflict, unlike some other people we can mention. I feel like my job is to develop these ideas, to put them out there and especially to develop them in a form in which they're science and not philosophy. The philosophers can develop the philosophy. And let me mention, if I may, another ramification of the idea that time is real as opposed to emergent or an illusion. The second law of thermodynamics is very well established and is, on a microscopic scale, clearly true. Disorder increases, entropy increases, most things that we deal with in our everyday lives are irreversible. There are strong arrows of time. There's a directionality of time: we can't go backwards. We are born, we grow up, we get older, and we die. If I spill this Coke on the carpet nothing we can do can make it go back into the cup. The birth of a child is irreversible. An unkind word said accidently to a friend is irreversible. Many things, most things, in life are irreversible. This is mostly codified by the second law of thermodynamics. In the late 19th century, Boltzmann proposed successfully that thermodynamics was not fundamental because matter was made of atoms. Instead, he proposed that the laws of thermodynamics could be explained as being emergent from the behavior of atoms, so that they are a consequence of the fundamental laws the atoms obey. So temperature is not a fundamental quantity, it's the average energy caught up in the random motion of atoms, and so forth. And entropy is not a fundamental quantity, it's a measure of the disorder or the improbability or the probability of a configuration of atoms. Boltzmann was right but there was a paradox inherent in his reasoning which people at the time identified. It's shocking to think that, but at the time in the late 19th century the atomic hypothesis was not wildly popular and there was no consensus among physicists. So he had intellectual opponents. And they said to him you claim to have derived as emergent a theory that has a strong directionality of time from the fundamental laws of motion of Newton. But the fundamental laws of motion of Newton are reversible in time. If you take a picture, take a film of atoms moving about in a void interacting according to Newton's laws and you run that film backwards, that's something that also can happen according to the laws. So there's a kind of paradox because Boltzmann could just as easily have used Newton's laws to prove the anti-second law, to prove that entropy is always higher in the past and lower in the future. And indeed the critics were right. The right way to resolve this puzzle was worked out by the Ehrenfests, Paul and Tatyana Ehrenfest who were dear friends of Einstein around 1905, 1908, I think, or somewhere around then. And they understood that actually what Boltzmann had proved was symmetric in time. What he proved is that if you find a system with the entropy low at one time it's most likely to increase in the future because disorder most likely increases when things move about randomly. But it's also most likely that the entropy was higher in the past and that what you're seeing is an accident—what he called a fluctuation. And so the question is not what explains the second law but what explains the conditions, the initial conditions. To explain the second law you have to assume that the initial conditions are very improvable, so the system starts out more ordered than it might be. And this was a great mystery to Boltzmann. He didn't have the benefit of living long into the 20th century so he imagined that the universe was governed by Newton's law and was eternal. And he could only assume that we lived in the wake of a huge fluctuation where the universe was mostly in equilibrium—which is the state when entropy is maximal—and spent most of its time in equilibrium and just occasionally due to a random fluctuation got way out of equilibrium. And that formed the sun and that was the cause of the world we were living in now. Now that's wrong. There's no evidence for that. So why is there such a strong arrow of time if the laws of physics are fundamentally reversible in time? Well, Roger Penrose had an idea, which I think is very worth investigation, which is in two parts. One of them—this was in an essay in 1979—he argued, and I think correctly, that the only way to explain the arrow of time as we observe it in the universe is if the initial conditions of the Big Bang were very, very special and being very, very improbable. And that's a theme of my discussion and that reoccurs here. So yet another sense in which to explain within the present paradigm of reversible laws the tremendous irreversibility of phenomenon that we observe, you have to put all the weight on the cosmologists on explaining why the initial conditions were so improbable. And as a cosmologist I know remarked, that's not a job the cosmologists signed up for. They have enough to do. They have enough problems of their own, let alone having to explain the whole irreversibility of nature and the second law. But that's where the burden of proof is. Now Roger Penrose's proposal was that maybe the fundamental laws are actually time asymmetric and the time symmetric laws are emergent and approximate. And so maybe all those histories where we take a movie of part of the universe and we run it backwards couldn't really be part of history of the real universe going all the way back to the Big Bang. Let me give an example of that. When we look around we see light coming from the past. I mean it's more evident when we look out in telescopes, we see stars as they were in the past. We never see light coming to us from the future. We never see starlight coming to us from stars in the future. We never see supernova explosions in the future sending radiation back in time to us. But the laws that govern the propagation of light, Maxwell's equations, are reversible in time, so it has solutions that involve light propagating from events in the future and propagating information and energy into the past for us to observe from the past. It has just as many solutions like that, as it has solutions of the kind we use. So the law is symmetric in time, but to apply it to nature we throw away most of it because we throw away any solutions where there's any hint of anything propagating from the future to the past. Roger would say maybe the real theory that underlies Maxwell's equations, which for him, and I agree, would be the real quantum theory of gravity, just propagates energy and information from the past into the future and doesn't have this problem and this paradox. So this then becomes a challenge. Can we make hypotheses about how the fundamental laws could really be asymmetric in time and irreversible in time and understand how the present laws become reversible? And with a colleague, Marina Cortes, I've been working on that. So that's another way in which these philosophical critiques that I think are necessary to understand why we're stuck in fundamental physics and cosmology serve to motivate my work as a scientist. That work is then to be appreciated or not and evaluated on the basis of the usual criteria of science. That is, does it lead to new hypotheses that lead to new experiments that check them which are confirmed by those experiments? It seems to me that when we try to describe the world in a physical theory we start off in the wrong direction when we think of science as revealing the "laws of nature". In fact we have no direct access to the laws of nature so what we really describe are the laws of science, which are those inventions of the human brain that best predict current empirical findings. This brings us in direct confrontation with the elephant in the room of science – the critical role of human consciousness. The cosmos as it is subjectively represented in the human brain is the only cosmos that the cosmologist can think about. 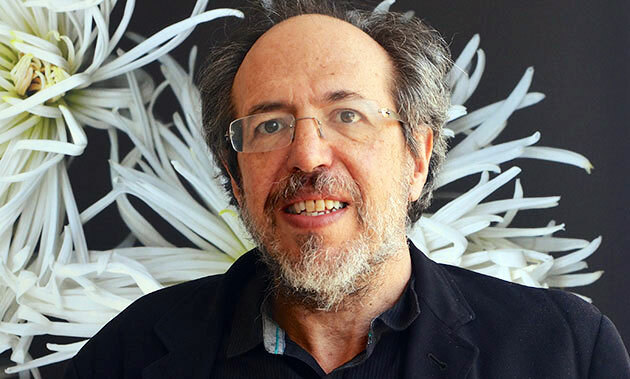 Near the end of Time Reborn, Lee Smolin acknowledges that human consciousness is at the very foundation of all scientific theory, but suggests that an understanding of consciousness is beyond the capacity of scientific understanding. It is this claim that I would challenge. Smolin says that he always tries to follow Feynman's advice "Have a question that an experiment could resolve at the front of your thinking." I think we would agree that the test of a credible scientific theory is whether it successfully predicts relevant experimental findings. On this basis, I would say that Smolin's pessimism about the prospects of understanding consciousness within scientific norms is not justified. Suppose a detailed theoretical model of a brain mechanism with a particular kind of neuronal structure and dynamics were proposed to explain consciousness, and suppose this same brain model were to successfully predict that under certain experimental conditions a person will have a vivid conscious experience of any arbitrarily selected visual object when that object is not visible to the person. I think one would have to agree that such an experimental finding should be taken as evidence that the hypothesized brain activity counts as a biophysical explanation of the conscious experience. 1. Subjects sit in front of an opaque screen having a long vertical slit with a very narrow width, as an aperture in the middle of the screen. Directly behind the slit is a computer screen, on which any kind of figure can be displayed and set in motion. A triangular-shaped figure in a contour with a width much longer than its height is displayed on the computer. Subjects fixate the center of the aperture and report that they see two tiny line segments, one above the other on the vertical meridian. This perception corresponds to the actual stimulus falling on the retinas (the veridical optical projection of the state of the world as it appears to the observer). 2. The subject is given a control device which can set the triangle on the computer screen behind the aperture in horizontal reciprocating motion (horizontal oscillation) so that the triangle passes beyond the slit in a sequence of alternating directions. A clockwise turn of the controller increases the frequency of the horizontal oscillation. A counter-clockwise turn of the controller decreases the frequency of the oscillation. The subject starts the hidden triangle in motion and gradually increases its frequency of horizontal oscillation. As soon as the figure is in motion, subjects report that they see, near the bottom of the slit, a tiny line segment which remains stable, and another line segment in vertical oscillation above it. As subjects continue to increase the frequency of horizontal oscillation of the almost completely occluded figure there is a profound change in their experience of the visual stimulus. At an oscillation of ~ 2 cycles/sec (~ 250 ms/sweep), subjects report that they suddenly see a complete triangle moving horizontally back and forth instead of the vertically oscillating line segment they had previously seen. This perception of a complete triangle in horizontal motion is strikingly different from the tiny line segment oscillating up and down above a fixed line segment which is the real visual stimulus on the retinas. As subjects increase the frequency of oscillation of the hidden figure, they observe that the length of the base of the perceived triangle decreases while its height remains constant. Using the rate controller, the subject reports that he can enlarge or reduce the base of the triangle he sees, by turning the knob counterclockwise (slower) or clockwise (faster). 3. The experimenter asks the subject to adjust the base of the perceived triangle so that the length of its base appears equal to its height. As the experimenter varies the actual height of the hidden triangle, subjects successfully vary its oscillation rate to maintain approximate base-height equality, i.e. lowering its rate as its height increases, and increasing its rate as its height decreases. These and other empirical findings obtained by this experimental paradigm were predicted by the neuronal structure and dynamics of a theoretical brain system (the retinoid system) that was originally proposed to explain our basic conscious experience and adaptive behavior in 3D egocentric space. It seems to me that this experiment demonstrates that consciousness can properly be understood as a complementary relationship between a specialized neuronal brain mechanism and subjective experience. Can we think of this assumption as justified on the same grounds as the two-slit experiment in physics justifies our understanding of light as a complementary relationship between particle and wave? I wonder what Lee Smolin would say about this. Cosmology and fundamental physics find themselves in an unusual position. There are, as in any area of science, some looming issues of unquestioned importance: how to reconcile quantum mechanics and gravity, and the nature of dark matter and dark energy, to name two obvious ones. But the reality is that particle physicists, gravitational physicists, and cosmologists all have basic theories that work extraordinarily well in the regimes to which we have direct access. As a result, it is very hard to make progress; we know our theories are not absolutely final, but without direct experimental contradictions to them it's hard to know how to do better. What we have, instead, are problems of naturalness and fine-tuning. Dark energy is no mystery at all, if we are simply willing to accept a cosmological constant that is 120 orders of magnitude smaller than its natural value. We take fine-tunings to be clues that something deeper is going on, and try to make progress on that basis. Sadly, these are subtle clues indeed. "Time" is something that physicists understand quite well. Quantum gravity remains mysterious, of course, so it's possible that the true status of time in the fundamental ontology of the world is something that remains to be discovered. But as far as how time works at the level of observable reality, we're in good shape. Relativity has taught us how to deal with time that is non-universal, and it turns out that's not such a big deal. The arrow of time—the manifold differences between the past and future – is also well-understood, as long as one swallows one giant fine-tuning: the extreme low entropy of the early universe. Given that posit, we know of nothing in physics or cosmology or biology or psychology that doesn't fit into our basic understanding of time. This is contrary to everything we think we understand about physics, everything we think we have learned about the operation of the universe, and every experiment and observation we have ever performed. But it could be true! It's always a good idea to push against the boundaries, try something different, and see what happens. I have two worries. One is that Smolin seems to be pushing hard against a door that is standing wide open. With the (undeniably important) exceptions of the initial-conditions problem and quantum gravity, our understanding of time is quite good. But he doesn't cast his work as an attempt to (merely) understand the early universe, but as a dramatic response to a crisis in physics. It comes across as a bit of overkill. The other worry is the frequent appearance of statements like "it seems to me a necessary hypothesis." Smolin seems quite content to draw sweeping conclusions from essentially philosophical arguments, which is not how science traditionally works. There are no necessary hypotheses; there are only those that work, and those that fail. Maybe laws change with time, maybe they don't. Maybe time is fundamental, maybe it's emergent. Maybe the universe is eternal, maybe it had a beginning. We'll make progress by considering all the hypotheses, and working hard to bring them into confrontation with the data. Use philosophical considerations all you want to inspire you to come up with new and better ideas; but it's reality that ultimately judges them. Thanks to Arnold Trehub and Sean Carroll for perceptive comments. Let me just address Carroll's comments as they puzzle me. He says, "With the (undeniably important) exceptions of the initial-conditions problem and quantum gravity, our understanding of time is quite good." In fact I don't disagree with the standard practice of physics so far as it applies to subsystems of the universe such as we study in laboratories. As I said, "The picture of atoms with timeless properties moving around in a void according to timeless laws, this is self-limiting. It's the right thing to do when we're discussing small parts of the universe, but it breaks down when you apply it to the whole universe or when your chain of explanation gets too deep." I only am concerned with how our methodology and conceptual scheme must change when we attempt to define physics on the scale of the universe as a whole. One of my key points is that this requires a new methodology and in particular a new conception of time and laws-one in which time is real and laws evolve. Among the problems that must be seen in a new light are quantum gravity and the initial conditions problem. Let me emphasize that we can have a fundamentally incorrect understanding of a basic concept like time or law, while being able to use that incorrect notion to assist our description of a limited domain of phenomena. That is what I argue is happening with time and law. If we are happy with restricted domains of description I agree with Carroll that the standard notions are "quite good", by which I would mean, useful in interpreting and predicting experimental results. But I still believe they are fundamentally wrong because they are insufficient to solve the problems of quantum gravity and initial conditions and so give us a scientifically useful description of the whole universe. Finally, I agree with Carroll's last paragraph; as I hope I made clear, I use philosophical arguments as a guide to framing and then formulating concrete hypotheses which can be checked with falsifiable predictions. One of my key points is that hypotheses about how laws evolve in time can be genuinely falsifiable. I mentioned two examples which are cosmological natural selection and the principle of precedence in quantum theory. These demonstrate that taking laws to be evolveable rather than fixed in time can increase the explanatory power and emperical reach of physics. I find myself in deep sympathy with the implicit metaphysics in this Lee Smolin meditation on physics. I've never much liked the idea that "laws of physics" are somehow outside time. I never liked their alleged temporal reversibility, either. That seems theistic to me. I've never seen convincing evidence offered for that assertion. If the laws of physics are timeless, that feels good to the scientific temperament—for instance, Einstein can feel a moral comfort about sharing the Eternal Creator's disaffinity for dice. Also, math guys come across like high priests revealing an implicit order, rather than, say, geeky programmers juggling symbol strings. But why would that nice feeling actually be true about reality? Suppose we remove the word "law," which implies a divine ruler and sense of justice, and just go for a raunchy, ontological-anarchist approach. We have this method of description, mathematics. We have some phenomena in Nature that we can measure and test, in reproducible and falsifiable experiments. With that data we can make quantifiable mathematical assertions. Within some error-margin of imprecision, it turns out that most of them work, pretty much all the time. We call them "laws" because that's what we call them. We haven't teased out the relationship of these assertions to Nature. Of course we try that a lot, especially if we're philosophers. If we're Plato, we more or less figure the assertions were kinda floating around in an ideal Pythagorean math-space long before there were rocks and trees. I'd prefer a humbler approach, one that points out that rocks and trees were there long before Plato. Maybe the Word was there, before the World was there. But has anybody ever carbon-dated a word? Speech is only a million years old. If you think that thirty cosmological parameters somehow created and currently rule the cosmos, it gets scary if there seems something wrong or absurd about them. However, if you just take those "laws" as our provisional descriptions of knowledge derived from the scientific method, that situation's not so disturbing. Whenever our descriptions fail us, Nature is still Nature. Nature doesn't collapse from some dire need of our magic blackboard law-commands. Gravity, even quantum gravity, has been around the block quite a while. If you jump out a window from sudden existential doubt about physics, gravity doesn't evaporate on your way down. I have high confidence in our methods of testing and verification. I wouldn't engage in any postmodern blither about the laws of physics being merely verbal constructions. However, I also don't pretend to any mystic, scientistic, theistic faith in their eternal truth and power over existent reality. The idea that "laws" change with time is exceedingly interesting. I love that idea, it's quite H. P. Lovecraft, and it would be easy to sensationalize it in fiction. As a sci-fi writer I'd be keen to give that a try, but in an Edge discussion I'll turn the amps down. The idea's not all that shocking to me. It wouldn't hurt my feelings much if it were true. I might even welcome that discovery. The "laws of physics" are not profaned or shattered if they change with time. It would just mean that the phenomena under description changed with time in certain ways that invalidated some previous descriptions. It wouldn't hurt or demean physics to have a "historical component. " Maybe gravity did work differently in the early universe. Maybe all the laws of physics are somehow temporary. That's an extraordinary assertion, of course. I'd want to see some extraordinary evidence before I took any such theory seriously. But I take it seriously enough to quite enjoy thinking about it. As I think about it more, I even find something comforting about it. It's not silly. It might be true. Why not? We're okay with physics behaving differently at different physical scales—classical and quantum. Why not different physical behavior at different temporal scales? It's certainly grand fun to speculate about. I've got a barn-full of stripped down metaphysics wrecks that I could tool up for this, in a jiffy. If nature "forms habits," then that's very Rupert Sheldrake. If nature "evolves" new cosmological behaviors, that's rather Darwinian. If Penrose is right and the laws are time-asymmetric, then maybe the grain of space-time has some kind of tiling-problem, and it only assembles in one direction. If Boltzmann and Prigogine were right about irreversible thermodynamics, then maybe the "laws" of physics are entropic. Maybe the "laws" are crooked, bad laws, corrupted laws, running down into a general ooze of cosmic decline. Maybe our universe was built with some cheap, crooked laws because the fix was in with the General Contractor. This Universe may be a God Particle Superconducting Super Collider, a busted, over-budget, overweening, too-ambitious scheme that never got completed, and where all the participants quietly sneaked away into the brambles. Even if it's true that physical laws are temporary, I'm not convinced that it makes a whole lot of difference, metaphysically. Maybe to the funding bodies of physics departments, but not to Nature. Let's say that time is indeed triumphant, and the laws of physics do transform with time. Could science get cozy with that concept? Why not? Time is pretty easy to measure scientifically, and maybe time's even on our side. We're mortal beings, which is scary, but if our cosmos fully shares our own time-bound nature, that might feel more congenial to us than the rather bonkers and abstract cosmology that we have now. If the "laws" of physics are mortal in their own way, what happens then? Well, there is bound to be some process through which those "laws" become mortal. Because it's not random, senseless, chaotic, or unnatural—it is entirely natural, and it's a natural process. In other words, there's some time-centric "constitution of physics" through which those apparent "laws of physics" get amended. And how does that work, exactly? Well, it would be up to physicists to figure that out. I don't doubt there would be some nifty mathematical way to describe those temporal changes in the "laws" of physics. I rather imagine that those temporal changes have structure. A remarkable structure, with symmetry, and strangeness and charm, and all that other delightful stuff that gets physicists out of bed in the morning. Nature has structure, so physicists would find "laws" for changing the "laws." We'd have a historicized physics, and that would be that. Biology and astronomy got over it—new species do arise, and the empyrean is not eternal. We wouldn't go back to think in that earlier way, if we could. We find out a lot more about Nature when we have a humble and inquiring attitude, rather than trying to boss Nature around with a stopwatch and metaphysical dogma. I know that cosmology isn't a fairy story—and it's not a science fiction story, either. However, Feynman was right about getting close to Nature, and not trying to live inside your head, or on the chalkboard, too much. Science differs from philosophy because science is experimental philosophy. If you can find something demonstrable, reproducible and falsifiable to show the other experimental philosophers, they'll come around. Eventually. It might really hurt their amour propre, and your scientific career might not survive the scandal, but Galileo, Darwin and Copernicus all had the same misgivings about going public with their own radical far-out notions. And, well, that's just how it is. Science ought to be about just how it is. I suggest that if we want to determine whether the laws of physics might change over time, we should start with biology rather than with physics itself. Why? Because the laws of physics are a product of biology. No matter at what scale we choose to explore the cosmos, the object of our study will be both real and imagined. The laws of physics are overt expressions of human imagination and human imagination is a particular kind of biological activity that happens somewhere in the brain. The overwhelming weight of evidence suggests that the cosmos has existed far beyond the span of our current reckoning and that the duration of conscious experience of the world around us, as an object of scientific inquiry, is just the most recent and infinitesimal pip on the time-line of the universe. Biology tells us that we have no direct access to the physical world we live in. As counter-intuitive as it might seem, all evidence leads to the conclusion that our undeniable experience of a surrounding world, full of objects and events, is a fantastic construction of some special kind of biophysical machinery within our brain. Our sensory apparatus can give us, at best, separate two-dimensional snippets of the environmental events to which we are exposed, but the world of our phenomenal experience is a coherent volumetric world in which sensory features are properly bound in spatiotemporal register around a fixed locus of perspectival origin. Our entire phenomenal universe is constituted by an innate system of brain mechanisms with a neuronal structure and dynamics that actually construct the subjective world of our experience and enable us to imagine a cosmos of boundless possibilities. A current theory of consciousness, the retinoid theory, explains how our cognitive brain does this job. So, from the perspective of human biology, the theoretical models and laws of physics are inventions of particular kinds of cognitive brain mechanisms, and because these brain mechanisms will continue to invent new theoretical models and new measurement instruments to augment our primary senses as we probe our phenomenal universe, it would seem foolhardy to bet that the laws of physics will remain unchanged. It would also seem more fitting to change the cosmological concept of initial conditions to the better concept of prior conditions. The two tables have essentially the same dimensions on the screen, yet the table on the right seems to have a significantly different shape than the table on the left. In fact, the two tables differ only in angular orientation (90 degrees) on the screen. Your conscious experience of two tables with different shapes is directly predicted by the normal structural and dynamic properties of the brain mechanisms that construct the world for you. I admire Lee Smolin's bold attempt to unravel a prevailing view in cosmology: that the laws of physics are timeless, eternal, Platonic ideals that somehow hover outside the bounds of physical reality, ontological primitives for which there can be no cause or explanation. Smolin once wrote, "The first principle of cosmology must be, there is nothing outside the universe." This deceptively simple slogan is a profound directive for extending what we know about physics to the universe as a whole, and surely it applies to the laws themselves. If cosmologists seek to explain how the universe arose from nothing, they cannot rely on external, timeless laws to do the heavy lifting. Explaining existence means explaining the laws, too. That's precisely what Smolin aims to do—and he wants to do it by making time real. Unfortunately, in my view, trading real laws for real time doesn't buy you much. In Smolin's scheme, the laws of physics are a product of cosmological evolution. But what laws govern the evolution? Are they too evolving? How many times do we have to push the question back until we run up against a Platonic law that's independent of evolution, sitting, as it were, outside the universe? More to the point, if cosmological evolution is governed by time—where did time come from? Smolin's call to promote time from its relative, frame-dependent status to an invariant – what a physicist calls "real"—goes against the tide of history. Progress in fundamental physics has long been a process of downgrading invariants to frame-dependent illusions, one by one eliminating the number of ingredients whose existence requires an explanation. Einstein downgraded space and time, then took on gravity, revealing it to be an artifact of perspective. The Standard Model of particle physics came together when physicists discovered that nature's other three forces—the so-called gauge forces—are likewise frame-dependent and not ultimately real. In more recent history, physics is littered with invariants that have been tossed aside. The dualities of string theory and the holographic principle render dimensionality a frame-dependent illusion. Even the unified spacetime that Einstein left invariant has turned out to be frame-dependent, thanks both to Lenny Susskind's horizon complementarity and to Smolin's own theory of relative locality. Like Smolin, physicist John Wheeler was deeply inspired by the philosophy of Charles Peirce, who suggested that nature's laws emerge from chaos and evolve into regularity. Peirce led Wheeler to mutability—the idea that the laws of physics are not enshrined in eternity but are subject to change and, ultimately, dissolution. "Mutability is the central feature of physics," Wheeler wrote. "Every law of physics must be at bottom like the second law of thermodynamics, higgledy-piggeldy in character, based on blind chance. Physics must be in the end law without law. Its undergirding must be a principle of organization which is no organization at all." For Wheeler, however, mutability's lesson was not that time is real. It was that nothing is real. And in the end, doesn't that have to be the lesson? If the goal of physics is to explain everything, leaving no piece dangling in the wind, no ontological primitives, then somehow it must whittle down nature's invariants – even the laws of physics, even time—until every last one is rendered frame-dependent, including the frame itself. After all, nothing is the only thing whose existence requires no further explanation. I believe that physicists ought to follow Smolin's lead in treating the laws of physics as mutable, internal to the universe, and in need of explanation. I worry, however, that making time real might be a step in the wrong direction.